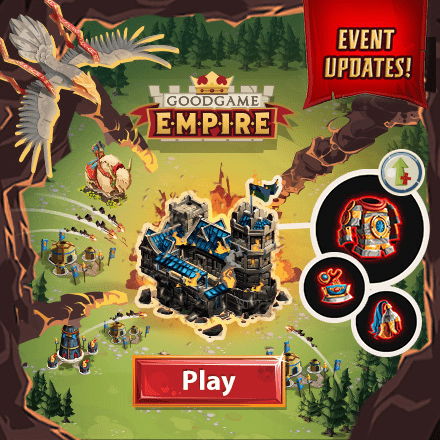 Goodgame Empire is a strategy game with hundreds of millions of players around the world waging war on a daily basis! Have you dreamed of ruling your own kingdom? How about ruling something bigger than a kingdom? How does ruling an empire sound? This strategy and adventure game is what you have always been looking for. This is not a game you will play today and not tomorrow. You will be playing for months... maybe even years. This is perhaps one of the most awesome multiplayer-strategy games that has come along in the last few years. It is a game that will challenge your tactical thinking, your diplomatic prowess, and most certainly your dogged determination to succeed. Create an empire the world has never seen before and never again. Stomp on everyone who bothers you and win the game! It's not that hard to begin. The in-game tutorial will give you a hand and you will be protected for the first week. So what will you be doing? You will build your own castle, create a powerful army, make alliances and fight epic player versus player battles on a dynamic world map. Crush your enemies, conquer land and rise to be the ruler of a mighty empire! How does that sound? You enjoy a week’s protection from attacks from other real players under the condition that you don’t initiate war against others. You can attack NPC castles though for XP and loot, only that these battles don’t involve any strategic planning or risk of casualty, since you only have one or two unit types to dispatch and you always win. Different from most strategy games, these NPC bandit baron castles grow to high levels with your own, or to be more exact, grow stronger with your every around of attack. In another word, you attack a Lv.1 NPC castle to level it to Lv. 2, and you can’t attack it again within three hours’ cool down time. So you have to “create” the high-leveled NPC enemies instead of having differently leveled ones around. In this way, the gameplay is once more slowed down, since you can complete the attack mission only when the NPC castle reaches the required levels and finishes the cool down time. To pile on, the travel time dispatched troops take to arrive at destination also gets longer with level up. In the world map, you just see the troop snail forward and then back, with no combat scene visible. Anyway, that covers the start of it. You really need to play and get into the game. Talk to other players, kill other players, talk to them again and so on. You will learn to be a master strategist in no time. Good luck creating your empire! Mouse to control the game. After a simple registration, you are ushered into this virtual world back set in medieval times. A castle built with wood and stone is located in the center of the woods, with flags waving in wind; various trees, stones and wheat fields can be seen around; and residents walk about among different buildings and also travel in and out of castle to collect food or hack stones. All is depicted similar to scenes in a picture book, colorful and cartoony. The tutorial takes you through the process of constructing a barracks and attacking an enemy castle. Once done, you are granted your own castle, initially small and almost empty, where you start the life of a knight lord. Construct a series of structures, generate resources and collect gold coins as taxes, expand the castle to accommodate more facilities, and lead your army to conquer NPC castles around. In the beginning, big arrows will constantly pop up to guide you through the basics, and the quest line continues to direct you to the next move in the game. 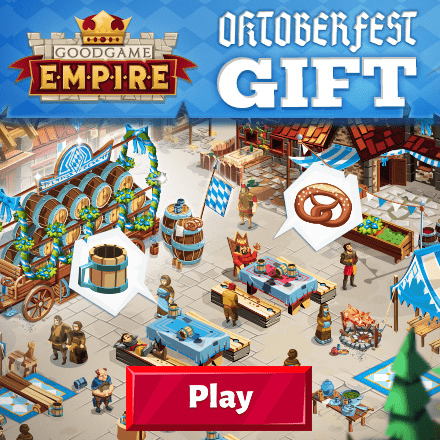 Goodgame Empire presents an enjoyable gameplay that is far better than lots of other strategy titles out there in final edition. It presents solid mechanics that incorporates the fresh elements into strategy staples, and depicts a stylish world with vivid animation and hand-drawn graphics. It’s really worth a try.